PI lawyers are walking against the winds of change these days, and the forecast is… well… blustery. Evolving trends within the market — and even outside of it — cast real doubt about the long-term viability of heretofore-lucrative litigation platforms. Take, for instance, auto accidents and medical malpractice claims, which are still the biggest boon to PI but are setting course for shifting sands. If the number of lawyers were shrinking, the outlook might not be so worrisome. But the field remains as crowded as ever. 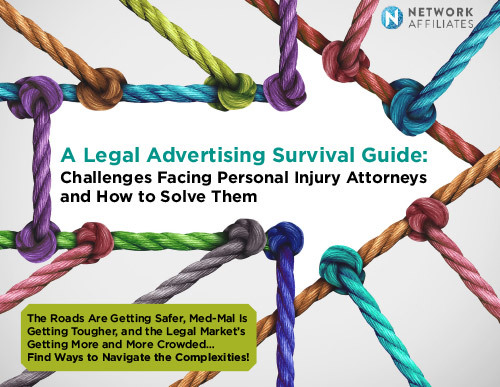 That sets the stage for a central conflict in the future of U.S. personal injury litigation: an increasing supply of legal services versus a diminishing demand for those services. Download this survivor’s guide now. It is filled with insights, statistics, and actionable advice on how you can stay ahead of the game. We want to help you understand what tomorrow could look like and how you can position your firm to stand the test of time. If you have any questions or if you need help finding a way to (888) 461-1016. 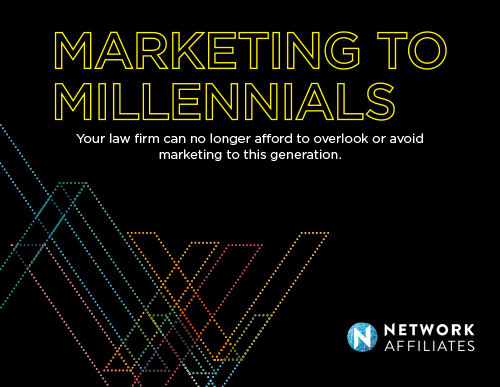 Legal seminars are chock-full of advice on marketing to Millennials on the one hand and marketing to Hispanics on the other, but attorneys seldom speak directly to the overlap between them. That’s a problem. Hispanic Millennials are the fastest-growing consumer group in the country. 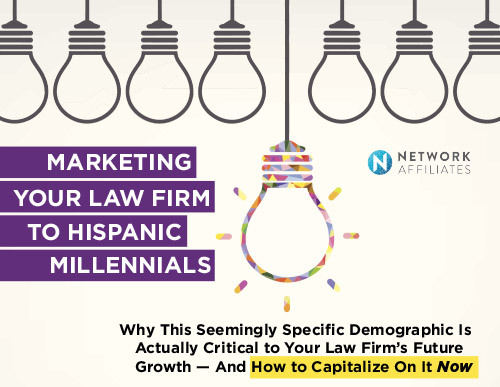 This seemingly specific demographic is actually critical to your law firm’s future growth. They’re over 18 (ranging up to about 35), have real legal interests at stake, and just like any other Millennial with a case, they need a law firm to represent those interests. Are they going to choose yours? It is important for every attorney to consider how their message is being presented. Does it blend in with the other legal advertisers in the market? Or does it stand out? Is it memorable? Does it cause victims to take action by picking up the phone, visiting your website, looking at reviews, etc.? Developing a unique message is not easy but it is absolutely necessary. 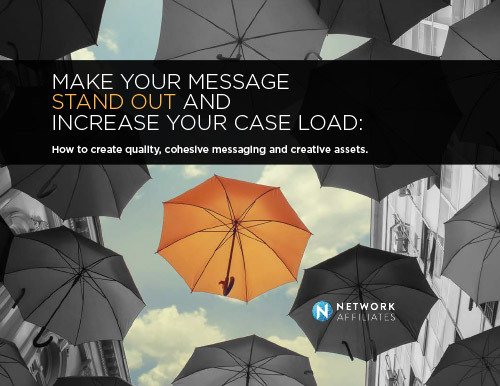 Download this quick read and learn how to strategically market your law firm by crafting a message – and creative assets – that will not only set you apart but will also become recognizable and synonymous with your services. Millennials are taking over as the biggest living generation in U.S. history. And these savvy consumers, ages 16 to 36, are poised to redefine the economy as we know it. The change is making law firms, like every other industry in America, nervous about how to catch up and market to this often mis-understood generation. This 19 page guide is filled with insights, statistics and — most importantly — real action items that you can begin to implement in your marketing efforts today! Marketing strategies are constantly changing and evolving. To keep your Practice competitive in today’s market, you must stay ahead of the curve. At Network Affiliates, we know your main concern is the business at hand, and our main concern is helping your practice grow. Being able to understand what your advertising agency is talking about is a critical component to building a client-agency relationship that is both successful and mutually beneficial. 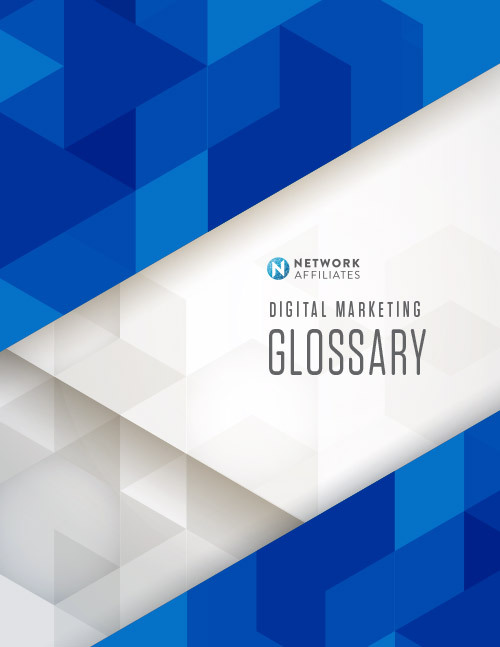 That’s why we have prepared this Digital Marketing Glossary – to help you understand the digital marketing jargon that we all too often use. If you want to truly leverage the power of the internet and see what it can do for your practice’s bottom line, it is not enough to simply know what these words mean. You have to know how to apply the concepts behind them in the context of a marketplace that is becoming more and more fragmented, every day. The best time to course correct your marketing plan was yesterday – the second best time is right now. So what are you waiting for? 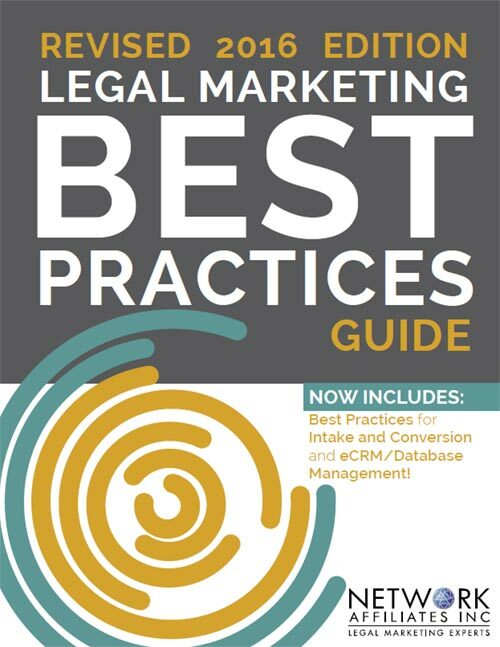 Get your FREE copy of our Legal Marketing Best Practices Guide by completing the form.